World War II was one of the bloodiest wars in human history. Millions took part in the fighting, and sadly, millions died. Unsurprisingly, there are lots of amazing stories from the conflict, though some are more well known than others. New stories surface constantly, such as the recently uncovered encounter of Charlie Brown and Franz Stigler. Here are 10 stories that are less well known but no less amazing. On June 2, 1944, just before D-Day, driver Benjamin Gimbert and his fireman, James Nightall, were in charge of a freight train delivering bombs to the USAF in White Colne, Essex, UK. As they approached the village of Soham in Cambridgeshire, Benjamin realized that the wagon coupled directly behind the locomotive was on fire. That’s never a good thing, but this fire was particularly dangerous, given that the train was carrying tons of explosives. He stopped the train, and James came down from the footplate to uncouple the blazing wagon. Only 128 meters (420 ft) from the station in Soham, they attempted to ditch the wagon in the open countryside before the bombs exploded. They failed, and seven minutes after Benjamin originally saw the fire, the wagon exploded. It flattened the station building, damaged 600 others, threw Benjamin almost 200 meters (about 600 ft) away, and killed two other railway workers who had stayed to stop another train that was headed for the wagon’s path of destruction. Despite the crater the explosion created that was 6 meters (20 ft) deep, the track was up and running again by that evening. Both Benjamin and James were awarded the George Cross, the highest award for non-combat bravery in the British and Commonwealth. 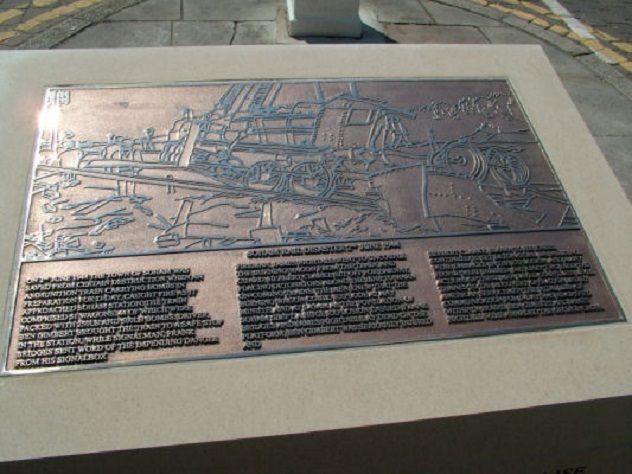 Their actions are commemorated with two different plaques in Soham. After the disastrous campaign in France in 1940, the remnants of the British Expeditionary Force and the Free French Forces found themselves critically short of vehicles, ammunition, and other equipment. This led to the formation of the well-known Home Guard, but Winston Churchill also ordered the creation of a secret, underground army that was known simply as the Auxiliary Units. They remained secret until the 1990s. Its 3,500 members were recruited mainly from the civilian population and trained in a variety of tasks, including stealth killing, explosives, unarmed combat, and sabotage. To avoid suspicion, they were assigned to Home Guard units. Despite the shortage, they were equipped with the best weapons available, including Thompson submachine guns and PIAT anti-tank rockets. They were also given silenced pistols and rifles, sticky bombs, and single-shot cartridges that could penetrate steel at almost 100 meters (over 300 ft). 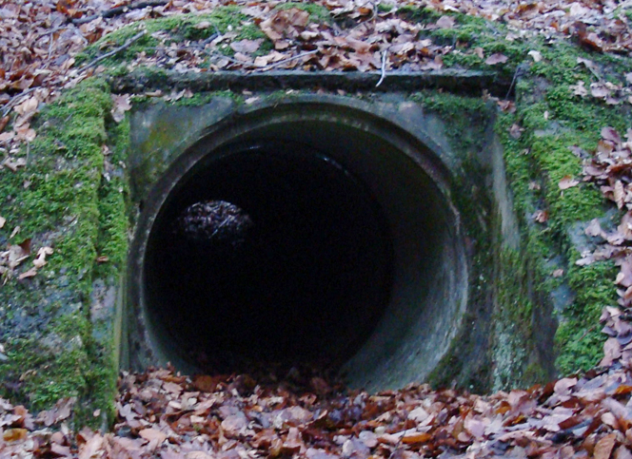 Their operation bases were built 4.5 meters (15 ft) underground and held 6–8 men each, plus all of their equipment and weeks’ worth of supplies. In the event of an invasion, the plan was to attack German communication lines, railways, airfields, fuel and supply dumps, and senior German officers. Perhaps most chillingly of all, they had orders to kill any British person collaborating with the occupying German forces. One advantage of the units was that the German army would not expect organized resistance so soon after an invasion. The fatality of such a mission was certain, but luckily, the Auxiliary Units never went into action, although many of its men joined other units after it disbanded. On February 18, 1944, 18 of the legendary Mosquito fighter bombers of the Royal Air Force, Royal New Zealand Air Force, and Royal Australian Air Force embarked on a plan to attack the Amiens Prison in northwest France to free the 700 French Resistance members imprisoned there. The weather that day was so bad that one of the RNZAF pilots thought that it was “either some form of practice or some form of practical joke.” Nevertheless, the group flew across the English Channel at just 15 meters (50 ft) above the waves, though five had to turn back due to radio and engine problems. Now down to 13 planes, Group Captain Charles Pickard carried on with the raid. 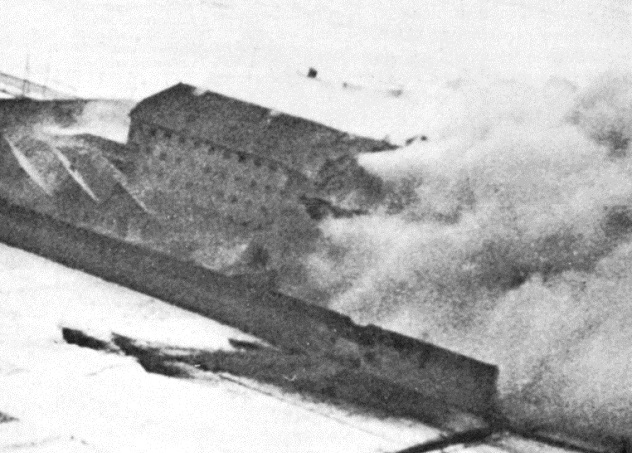 At 12:01 PM, the bombers attacked the prison wall to allow the prisoners a route of escape. They went on to demolish the blocks where German officers were standing guard, many of whom were killed or wounded. Two Mosquitos also attacked the nearby train station, buying the prisoners time while the German garrison was distracted. Only two aircraft were lost in the attack, including the one flown by Pickard. While 258 prisoners escaped, 102 were killed in the raid and another 155 were captured. Even today, no one is sure who ordered the raid or why, but the sheer skill and courage shown by the Mosquitos is undeniable. 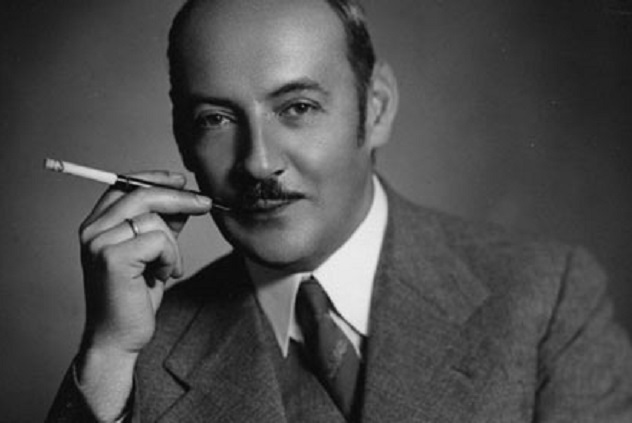 Albert Goering was the brother of infamous Nazi leader Hermann Goering, the man who famously vowed to destroy the RAF. Unlike his older brother, Albert was not a Nazi and often risked his life to save those the Nazis hated. He moved to Austria after the Nazis rose to power and often spoke out against the Nazi party, but when Austria was annexed by Germany in 1938, Hermann kept the Gestapo away from Albert. When the Nazis marched into Vienna, Albert rushed to distribute exit visas to Jewish residents and even went head-to-head with Nazis who were forcing elderly Jewish people to do degrading things, such as washing the street. Ironically, Albert was imprisoned for two years after the war due to his association with his older brother. When he was released, he found himself unemployable. He died penniless, but he was looked after by those he had helped during the war. Only recently has he received recognition for his bravery. On August 27, 1941, U-boat U-570, captained by Kapitanleutnant Hans-Joachim Rahmlow, surfaced off the coast of Iceland. Almost immediately, it was spotted by James Thompson, the acting leader of a British squadron based in Iceland who was on an anti-submarine patrol. Immediately, Rahmlow ordered a crash dive, but it was too late. Thompson’s Hudson bomber dropped four depth charges, one of which dealt a critical blow to U-570, knocking out the lighting system. Being inexperienced in U-boats and commanding an inexperienced crew, Rahmlow panicked and surfaced again, fearing the release of deadly chlorine gas. When a number of the crew came up on deck, Thompson attacked the U-boat with the plane’s machine guns. 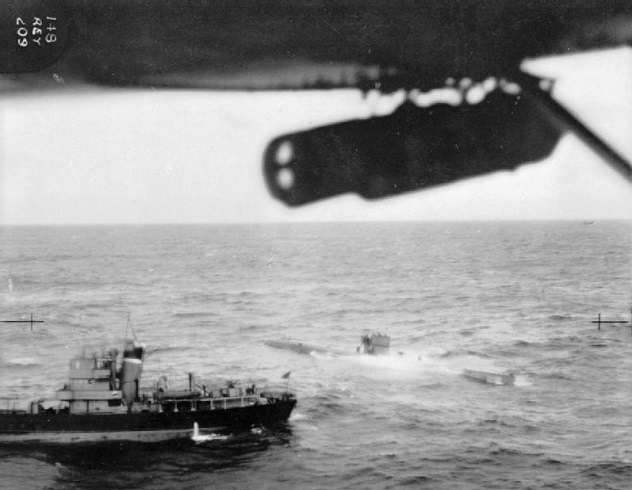 The crew soon realized the futility of fighting the aircraft in rough seas and surrendered. Amazed, Thompson flew in for a closer look, but no other attempt was made by the crew to defend their vessel, fearing more depth charge attacks. Thompson then radioed for more planes and to alert the Navy to collect the U-boat. In the time it took for the Royal Navy armed trawler to arrive, the U-boat crew destroyed the code books and Enigma machines on board. U-570 was then towed back to Iceland and beached to prevent it from sinking. The boat was repaired, and it was discovered that there was no evidence of chlorine gas. A more experienced crew would probably have escaped. U-570 was then placed into service with the Royal Navy as HMS Graph. The surrender of U-570 remains the only time a submarine has surrendered to an aircraft. The city of Danzig was home to a lengthy territorial dispute between the Germans and Poles who inhabited it and had been declared a free city by the League of Nations. In late August 1939, the Schleswig-Holstein, a German World War I–era battleship, had entered Danzig on a goodwill visit. At 4:45 AM on September 1, it fired its first shots against the Polish garrison, consisting of just 88 men, at the peninsula of Westerplatte. Eight minutes later, the garrison came under attack from elite German commandos and marines, but they were forced to turn back following heavy casualties. On September 3, 60 Luftwaffe dive bombers attacked the peninsula, wreaking such havoc that the German troops didn’t think anyone would still be alive, yet only five Polish defenders were killed. After subsequent attacks were repelled, resulting in heavy casualties, two fire trains were sent the next day. Both of them failed, the first one resulting in heavy casualties for the Germans. As the German Blitzkrieg pushed the valiant Polish army back everywhere else on the front, Westerplatte became a symbol of resistance. However, it wasn’t to last. Despite the Poles’ successful defense, the German army had almost reached Warsaw, and gangrene was starting to affect the wounded. 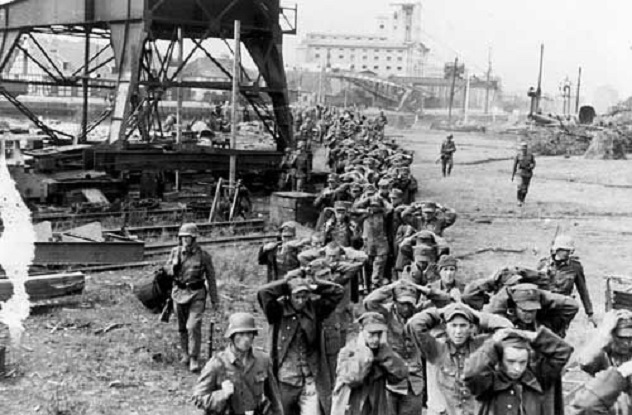 On September 7, the Polish garrison surrendered. While they may have lost the battle, they won the utmost respect of the German troops, who allowed Polish commander Major Sucharski to keep his sword and supposedly saluted the Polish defenders as they marched out. The fighting killed 15–20 Polish soldiers but a staggering 200–400 Germans. In the days leading up to D-Day, a number of problems were evident to the men planning the invasion of occupied Europe. Chief among these was the “Atlantic Wall,” a series of defenses that stretched from Norway to the Franco-Spanish border. This presented a formidable obstacle to the Allied armies, who would need to develop new specialist vehicles to combat the soft sand and other logistical difficulties. The task was assigned to Major General Sir Percy Hobart, who had been forced into retirement in 1940 while commanding the famous Desert Rats in Egypt and is often credited as the inventor of Blitzkrieg. Most of these new vehicles, which came to be known as the “funnies,” were based on the design of the Churchill tank, whose low center of gravity and roomy interior made it ideal for modification. The most famous of the Churchill modifications was the flame-throwing crocodile, the mere sight of which was often enough to compel German soldiers to surrender. Other ingenious features implemented were turrets that could be swapped out for bridges and rolling mats to allow armored vehicles to drive on beaches with soft sand without getting stuck. 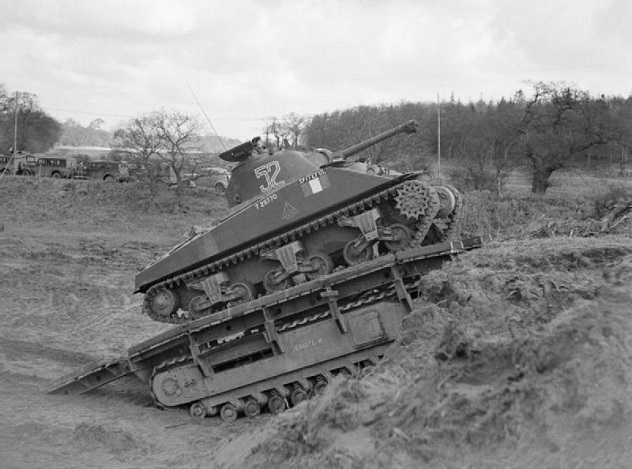 Variations of Sherman tanks were also used, including one that was designed to be launched from deep water and effectively “swim” in with the first assaults, after which a large waterproof screen would come down, allowing the tank to fight as normal. Another variant was a flail for mine clearance, which proved to be a vital asset. The funnies saved many lives during attacks on British and Canadian occupied beaches. General Eisenhower even said it was “doubtful if the assault forces could have firmly established themselves without the assistance of these weapons.” Many of the technologies Hobart developed are still in use today in modern specialist armored vehicles, and many of the funnies served the British troops well into the 1950s and ’60s. HMS Perseus, a Royal Navy submarine, left Malta for Alexandria, Egypt on October 26, 1941. On board was 31-year-old John Capes, a stoker fleeing the besieged island. During the night of December 6, the submarine hit an Italian mine off the coast of the Greek island of Kefalonia, instantly killing most of its passengers. Luckily, Capes was drinking rum and reading letters in a converted torpedo rack at the time, which didn’t start flooding until Perseus smashed into the ocean floor. When he realized what was happening, he went searching for survivors and found three other stokers, all of whom were badly injured. Surrounded by rising water and bodies, they headed to the escape hatch, and after finishing off the rum and donning escape apparati, they made their perilous escape into the sea. When Capes surfaced, he saw that the three other submariners hadn’t made it. Despite the pain in his lungs from the escape, he swam toward the Greek island of Cephalonia. After dragging himself ashore, he fell unconscious and was found by two fishermen. For the next 18 months, he was given shelter and cared for by the locals, who hid him from the occupying Axis forces. He was then smuggled by boat to the then-neutral Turkey and eventually to Alexandria. Unsurprisingly, not many believed his incredible tale, especially since he wasn’t on the crew list for the journey. His story wasn’t proven true until the wreck of the Perseus was found in 1997, 15 years after his death. The German battleship Bismarck had been sunk by the Royal Navy in 1941, but that wasn’t the end of its threat—the Bismarck had a sister ship called the Tirpitz. To neutralize the threat, the British planned a raid on the French dry dock of St. Nazaire, the only dock on the Atlantic coast which could hold the Tirpitz. 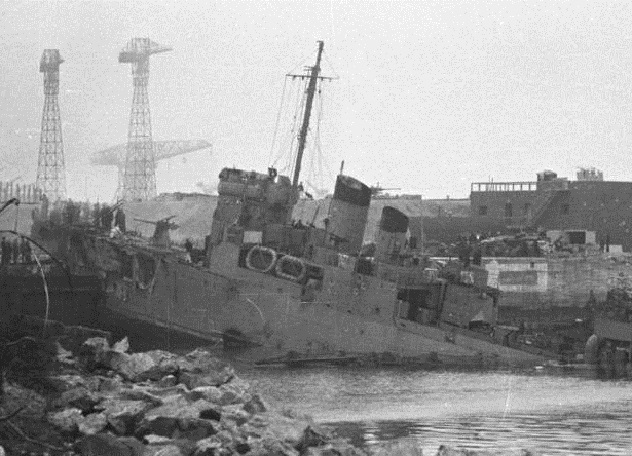 Destroying the docks called for an unorthodox plan—an old US Navy destroyer, HMS Campbeltown, would have to be packed with explosives and rammed into the dock gates. Then, commandos would blow up the other buildings, including the U-boat pens. HMS Campbeltown was stripped of all nonessential equipment to save room and weight for explosives, and two of her four funnels were removed so she bore a better resemblance to a German frigate. Extra steel was plated on at the front to protect the commandos on board. 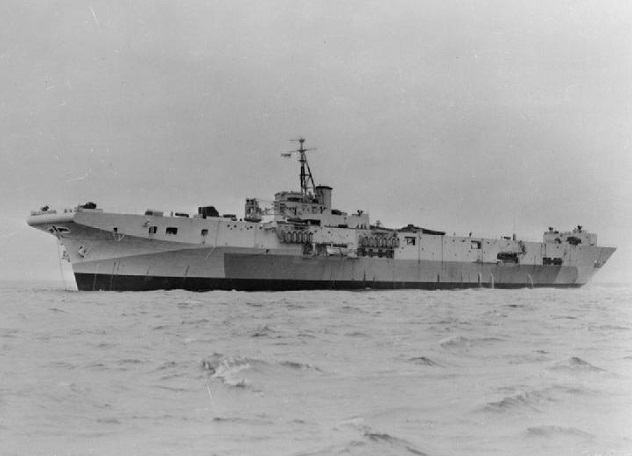 On March 26, 1942, the flotilla—made up of two destroyers, 16 motor launches, and HMS Campbeltown—set off from Falmouth, Cornwall, reaching the dock on March 28. Flying the German naval ensign, HMS Campbeltown accelerated to full speed on the river leading to the docks. With the gates in sight, the Royal Navy flag was raised, and seven minutes later, the destroyer hit the gates and the commandos sprang into action. Unfortunately, the commandos on board the motor launches didn’t fare well. Of the 265 who landed, only five made it back to England. The rest were killed or captured after many of the motor launches were damaged or destroyed. At 10:35 AM on the March 29, HMS Campbeltown exploded, killing 250 Germans on board and destroying the docks, rendering them out of service for six years. Five Victoria crosses were awarded in the aftermath, and even today, it is regarded as the greatest military raid of all time. 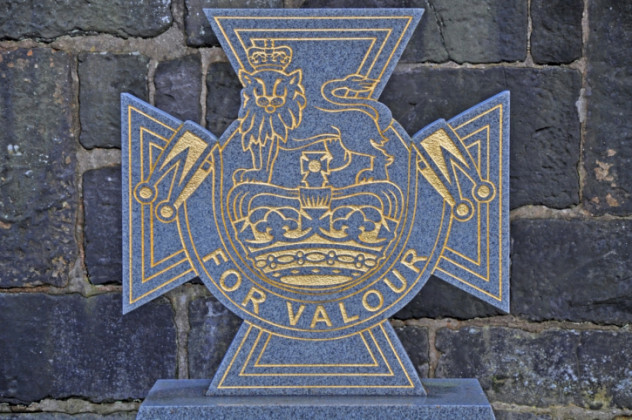 The Victoria Cross is the ultimate award for bravery in the British and Commonwealth armies. It has been awarded 1,357 times since its inception, and only three people have ever received more than one of them. Captain Charles Upham was the only man to be awarded the Victoria Cross twice in World War II. He volunteered for the New Zealand army in 1939 and was commissioned the following year. He won his first Victoria Cross in May 1941, during the German invasion of the island. He led his platoon in an attack on heavily defended positions 2.7 kilometers (1.7 mi) away. During the attack, he destroyed two machine gun nests and an anti-aircraft gun with grenades. He then helped carry a wounded man away from the fighting and rescued a surrounded New Zealand company. On May 30, he led his men on a flank to attack a group of advancing Germans, killing 22 of them with a Bren machine gun. His second Victoria Cross was awarded the next year on July 25, during the first battle of El Alamein. During the defense of the Ruweisat Ridge, he ran forward through a hail of machine gun fire to lob a grenade into a truck full of German soldiers. He then drove through the enemy lines in a Jeep mounted with a German machine gun, convincing Italian soldiers to push him out of soft sand. During a bayonet charge, he was shot in the elbow and sustained a broken arm. By now, the Germans had surrounded the New Zealanders, but Upham kept on fighting until he couldn’t walk. Upham was always quiet about his bravery, telling a reporter in September 1945, “Naturally, I feel some pride in this distinction, but hundreds of others have done more than I did.” He led a quiet life after the war, resenting publicity and dying at age 86 in November 1994. Will is an aspiring writer from the UK whose other interests include film and photography. You can find his Flickr here.